Bridgnorth is a delightful small market town with a population of 12,500. The town is split into two with low town set on the banks of the river Severn whilst high town with it's bustling high street is set 100 feet above on the sandstone cliff.The two are linked by severn sets of historic steps, the famous cliff railway and the Cartway an old fashioned street steeped in history. 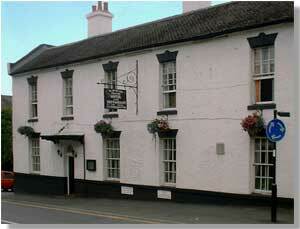 Bridgnorth has probably one of the best selection of inns, beers and eating houses for such a small market town. Some unique features and not to be missed are:- The Severn Valley Steam Railway, The Theatre on the Steps, The Cliff Railway and especially The Castle Walks. A must is to walk through the castle grounds and take your time enjoying the views from the Castle Walk.